7 Things you need to bring to a mudrun. We LOVE mudruns! We have gone to about half a dozen, and we go to as many as we are able to attend. If you are able to go to a mudrun, GO! Most events I have attended are open to anyone, at any fitness level, and the people there are so supportive and willing to lend a hand if you get stuck on an obstacle. Since I now have a little bit of experience with mudruns, I thought I should make a list of things you should bring to a mudrun. There are a few things you do not want to forget! For example, if you forget your towel… you are going to have a wet drive home! Foamfest has a mix of soapy and muddy obstacles. 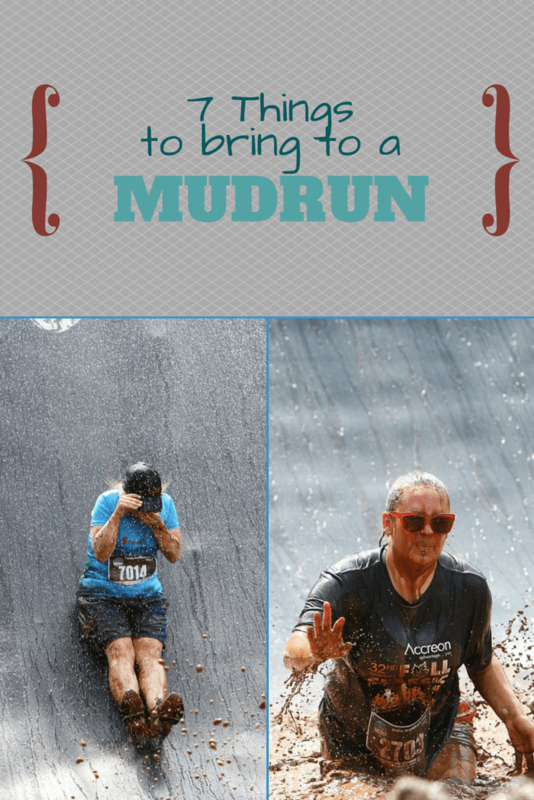 By the end of the race, be end up more ‘wet’ then ‘muddy’. MudHero is all mud and there is A LOT of it! You are definitely full of mud by the end of the race. Mudd, Sweat, and Tears we’ve only been to once, and while there was some mud and water, I don’t think we got the full experience. The route and event itself looked kind of like it was thrown together at the last minute. A change of clothes. After the run, you will be muddy. You are definitely going to want to change because you will probably smell pretty bad too. You will also want a change of shoes! Even if you choose to keep your muddy pair, you will NOT want to wear them on the drive home! Towels, wet ones, face wipes. Mudruns don’t always have full showers, the first one I attended only had a hose. We hosed off as best we could but there was still a lot of dirt. You’ll want to make sure you have something to help clean you up a bit and some old towels to dry off with too. Water, water, water. You will want to hydrate after your run, especially in the hot summer months! You will most likely be given a bottle of water but that might not be enough. Cash. Chances are there will be food and drink you can buy AND merchandise! You might want to grab yourself something to remember the run with! SPF. This should be obvious but you don’t want to get a sunburn! Snacks. We have to drive 5 hours to the race. If you have a long commute to get to your race, you are probably going to want to bring some snacks, or even a picnic! A good attitude. You are going to get dirty, it’s going to be messy, you might have to push yourself at some points… But you will have SO MUCH FUN!! You will not regret attending a mudrun! Previous Article← Are You Making Healthy Smoothie Mistakes?